NBS always recommends using Premium Products! Presentation is Everything and Always Up-sell! TIP$! Vegas is the Bartending Capital of the World! 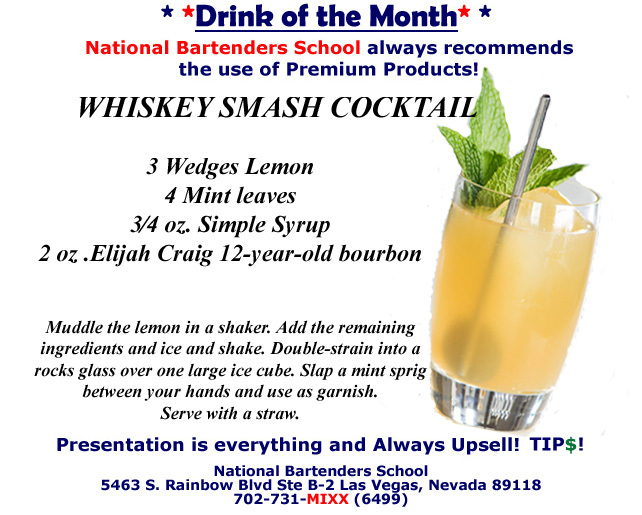 We offer more than any school in the nation and more instructional hours behind a real bar setup!